1 A None No Power Seat 1 A is an Economy Best Exit Row seat with extra legroom. However, the close proximity to the lavatory and galleys may be bothersome. The tray table is in the armrest, making the armrest immovable and slightly reducing seat width. There is no floor storage for this seat during take-off or landing. 15 A None No Power Seat 15 A is an Economy Class seat that is missing a window and has limited recline due to the Exit Row behind. 15 C None No Power Seat 15 C is an Economy Class seat that has limited recline due to the Exit Row behind. 15 D None No Power Seat 15 D is an Economy Class seat that has limited recline due to the Exit Row behind. 15 F None No Power Seat 15 F is an Economy Class seat that is missing a window and has limited recline due to the Exit Row behind. 16 A None No Power Seat 16 A is an Economy Class Exit Row seat with extra legroom. However, this seat may have limited recline due to the Exit Row behind. The tray table is in the armrest, making the armrest immovable and slightly reducing seat width. There is no floor storage for this seat during take-off or landing. 16 C None No Power Seat 16 C is an Economy Class Exit Row seat with extra legroom. However, this seat may have limited recline due to the Exit Row behind. The tray table is in the armrest, making the armrest immovable and slightly reducing seat width. There is no floor storage for this seat during take-off or landing. 16 D None No Power Seat 16 D is an Economy Class Exit Row seat with extra legroom. However, this seat may have limited recline due to the Exit Row behind. The tray table is in the armrest, making the armrest immovable and slightly reducing seat width. There is no floor storage for this seat during take-off or landing. 16 F None No Power Seat 16 F is an Economy Class Exit Row seat with extra legroom. However, this seat may have limited recline due to the Exit Row behind. The tray table is in the armrest, making the armrest immovable and slightly reducing seat width. There is no floor storage for this seat during take-off or landing. 18 A None No Power Seat 18 A is an Economy Class Exit Row seat with extra legroom. The tray table is in the armrest, making the armrest immovable and slightly reducing seat width. There is no floor storage for this seat during take-off or landing. 18 C None No Power Seat 18 C is an Economy Class Exit Row seat with extra legroom. The tray table is in the armrest, making the armrest immovable and slightly reducing seat width. There is no floor storage for this seat during take-off or landing. 18 D None No Power Seat 18 D is an Economy Class Exit Row seat with extra legroom. The tray table is in the armrest, making the armrest immovable and slightly reducing seat width. There is no floor storage for this seat during take-off or landing. 18 F None No Power Seat 18 F is an Economy Class Exit Row seat with extra legroom. The tray table is in the armrest, making the armrest immovable and slightly reducing seat width. There is no floor storage for this seat during take-off or landing. 2 F None No Power Seat 2 F is an Economy Best Exit Row seat with extra legroom. However, the close proximity to the lavatory and galleys may be bothersome. The tray table is in the armrest, making the armrest immovable and slightly reducing seat width. There is no floor storage for this seat during take-off or landing. 25 A None No Power Seat 25 A is a standard Economy Class seat however, the proximity to the lavatory and galley may be bothersome. This seat is also missing a window. 25 C None No Power Seat 25 C is a standard Economy Class seat however, the proximity to the lavatory and galley may be bothersome. 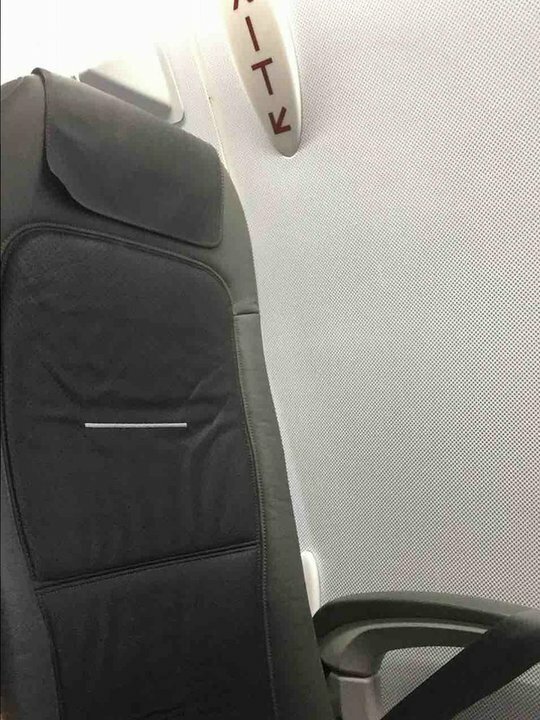 This seat is also missing a window. 25 D None No Power Seat 25 D is a standard Economy Class seat however, the proximity to the lavatory and galley may be bothersome. This seat is also missing a window. 25 F None No Power Seat 25 F is a standard Economy Class seat however, the proximity to the lavatory and galley may be bothersome. This seat is also missing a window. 4 A None No Power Seat 4 A is a standard Economy Best seat. 4 F None No Power Seat 4 F is a standard Economy Best seat. 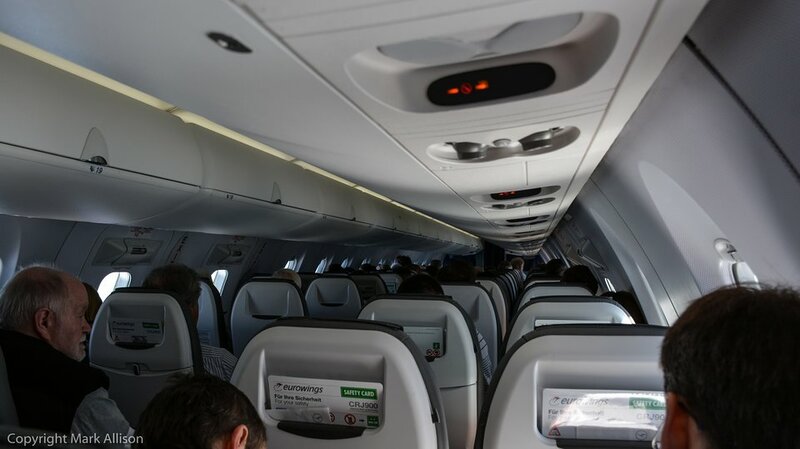 Germanwings flies the Bombardier CRJ-900 with 83 seats in a one class configuration of Economy. 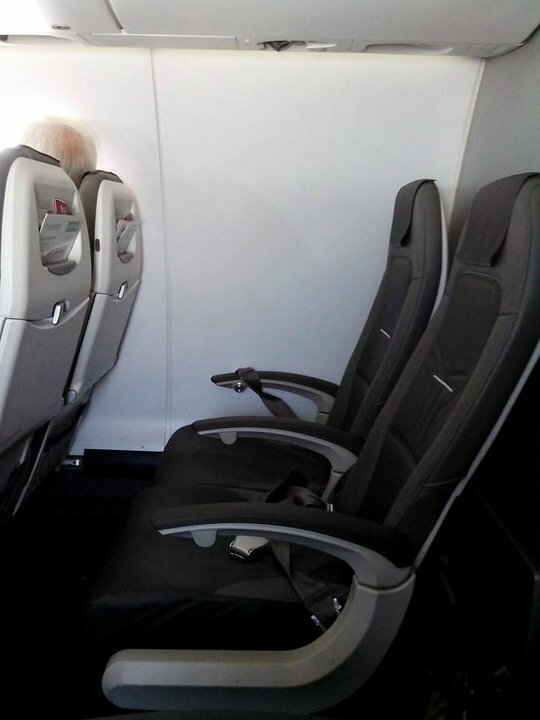 Some seats, highlighted in grey on the seat map, are left empty in Economy to provide additional space for those who booked "Best Seats"
Rows 1-4 are Economy Class seats categorized as "Best Seats" because they have more seat pitch than the standard Economy Class seat. 3rd time I have chosen this seat on the CRJ, and every time it pleases me. 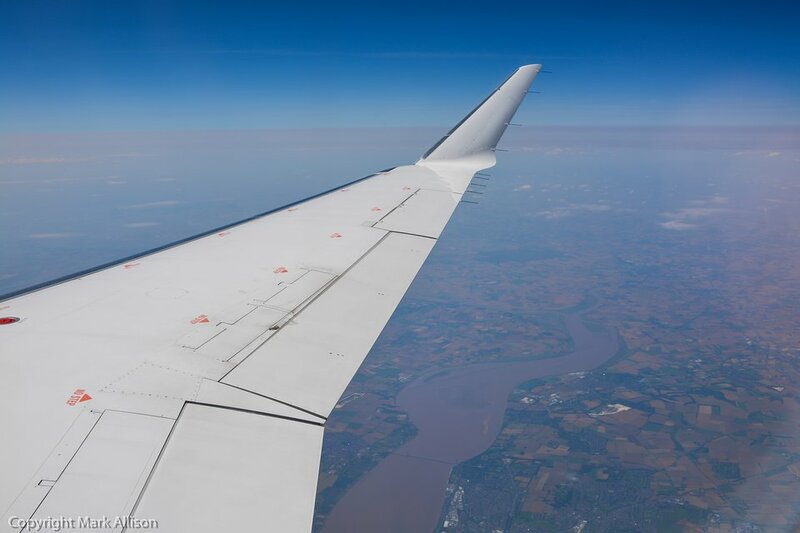 Great windows, great legroom, brilliant aircraft. Germanwings flies 1 versions of Canadair CRJ-900.